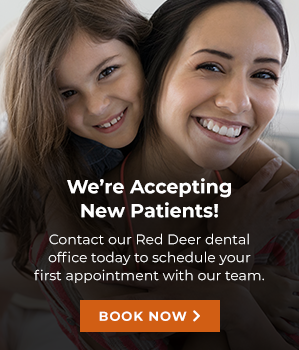 Southpointe Dental offers a variety of dental sedation services in Red Deer for patients who may be feeling anxious or nervous about their dental appointment. A step down from general anesthesia is oral conscious sedation, which involves the patient taking an oral sedative prior to their procedure, as oriented by your dentist. Nitrous oxide puts the patient in a conscious, relaxed state. It's also usually given to further enhance the calming effects. Also, know as laughing gas, nitrous oxide is used to reduce pain and discomfort. The gas is administered through a face mask which the patient breaths in which puts them in a relaxed and comfortable state. Depending on your needs, we will choose the appropriate sedation option for you. Contact our dentist in Red Deer to learn more sedation today.